It’s almost as if, once NBC decided to dump iTunes, the network has been looking for every venue possible to make its shows available for digital viewing. The latest place on the Internet to find NBC shows is Netflix, best known for its online DVD rentals. Netflix has signed a deal with NBC Universal (press release) to offer online episodes of “Heroes” and past episodes of other series such as “30 Rock”, “Friday Night Lights”, and “The Office.” Netflix subscribers will have the option of watching these shows immediately on their computers at Netflix.com or on DVD. 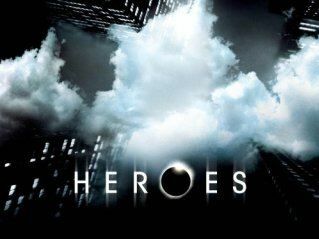 “Heroes” episodes will appear on the Netflix website the day after they air on NBC. There’s no word if each episode will be available throughout the season, or if shows will be taken down once new ones are aired. Netflix is interested in increasing its TV content as it looks to grow its download business. According to Netflix content acquisition vice president Robert Kyncl, about 20 percent of the company’s core DVD rental business consists of TV shows. Kyncl hopes for the same percentage for digital downloads. OK, kids. Time to get out your scorecards. Since NBC bolted from iTunes, you can download some of the network’s shows through Amazon Unbox and its own NBC Direct. Streaming options include NBC.com and Hulu, the joint venture between NBC and News Corp. (Fox) that’s still in private beta. Man. Blockbuster needs to integrate Movielink now as part of Total Access!!! I’m about to switch to Netflix and I love my Total Access.